Please see the link for an update on the re-engining of FIFI. 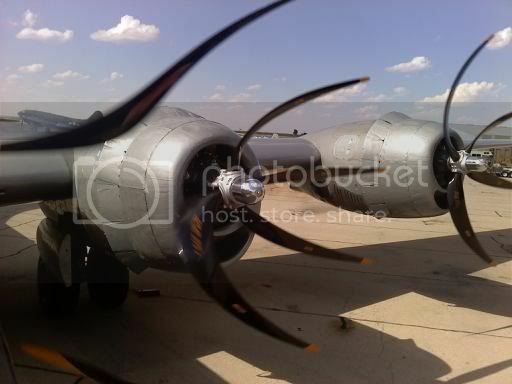 We did the first engine run on the B-29 FIFI today, Sept. 6. 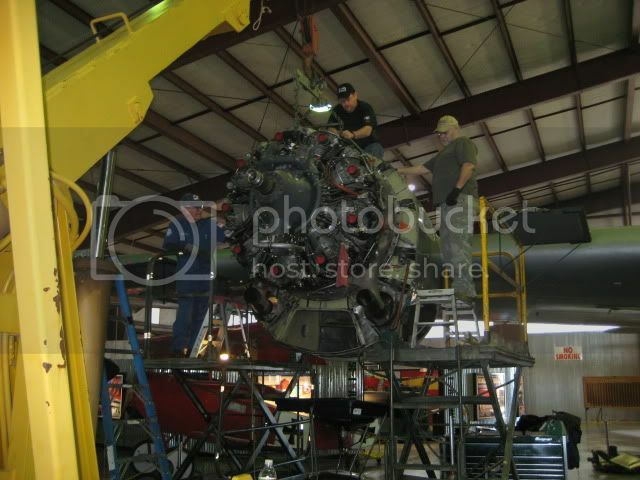 We installed one of the new late model engines (R-3350-95 with -26 rear case) that are used in the Reno Air Races (Rare Bear is flying with one of our engines this year at Reno) and we ran it three times as proof of concept. No problems were encountered with the engine itself. 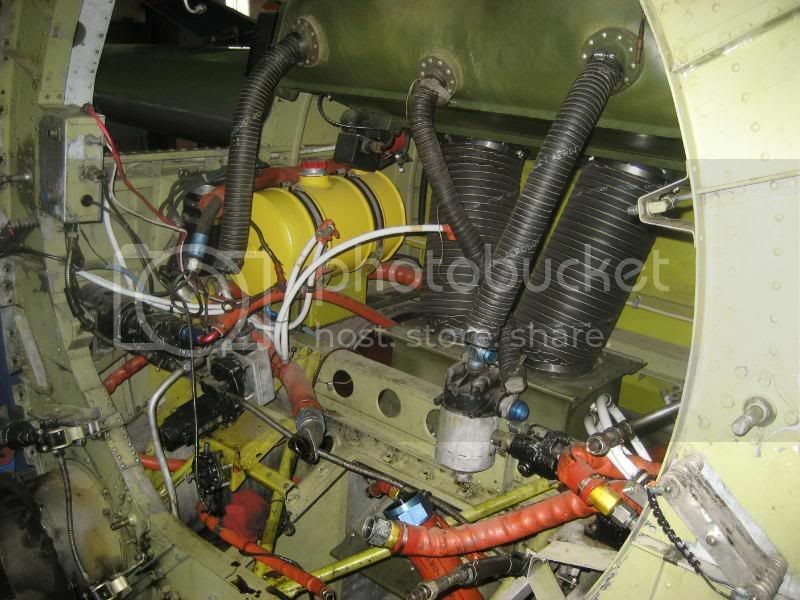 We did have to re-index the low pitch stops in the propeller to get proper RPM/manifold pressure/ torque pressure. Nelson Ezell was here to observe and assist us in correcting the propeller. Charlie Tighlman, Paul Stojkov, were the two pilots, myself as engineer, and Dave Miller (who did the first run) as crew chief. Assisting was John Flynn and Shorty Dewitt. We pulled 2200 hp. at 2400 RPM with 45 inches manifold pressure, and 129 psi torque pressure. Exactly what we wanted. Photos will be posted on WIX by the end of the week after a local media run is accomplished. 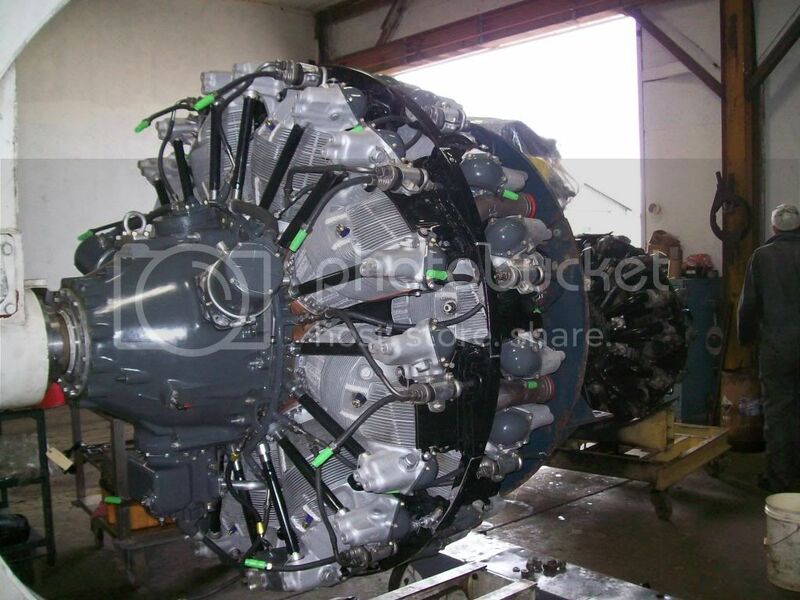 Here is the second engine being readied for shipment from Ray Andersons shop in Idaho. It has about five hours running time on it. The second engine is now in place in the #2 nacelle. Prepping of the #2 engine. Note how the exhaust was modified. The empty #2 nacelle ready for the engine. 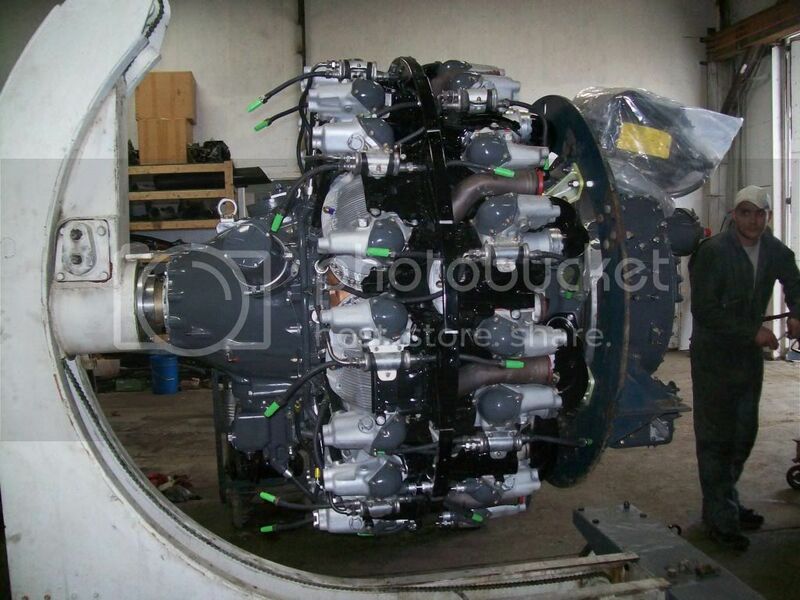 The third of four engines are now installed and the fourth engine should be ready to install next week. The first flight may be in June. All four engines are on the wing. The engine runs should start in about a week or so. The first flight is planned for the end of June. 13,400 cu in of air be ingested, squeezed, ignited, and expelled, never looked so sweet. Congrats and thanks for the update! 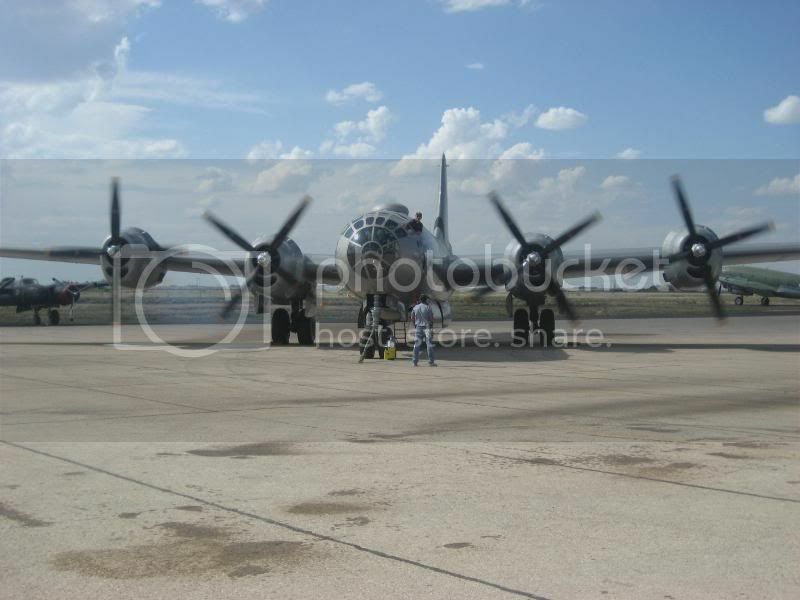 MIDLAND, TEXAS (June 25, 2010) � The Commemorative Air Force (CAF) is excited to announce the world�s only flyable B-29 Superfortress FIFI, will return to the skies Tues., June 29, 2010, at 8 a.m. 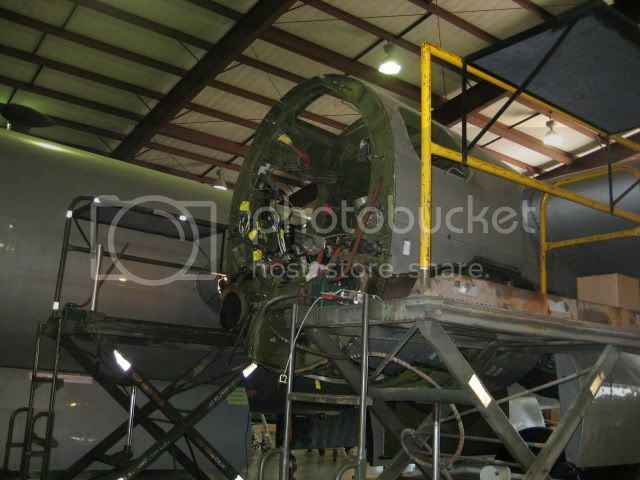 The CAFAirpowerMuseum will open its doors at 7 a.m. on Tues. June 29 and Wed., June 30 for visitors who would like to get a front row seat for FIFI�s pre-flight preparations and first flights. Visitors to the museum will be ushered to the main hangar for an up-close view of the crew preparing this massive bomber for her first flight in four years. Once FIFI begins to head for the runways, visitors will be escorted to a prime viewing area, to witness the B-29s first taxi and take-off. 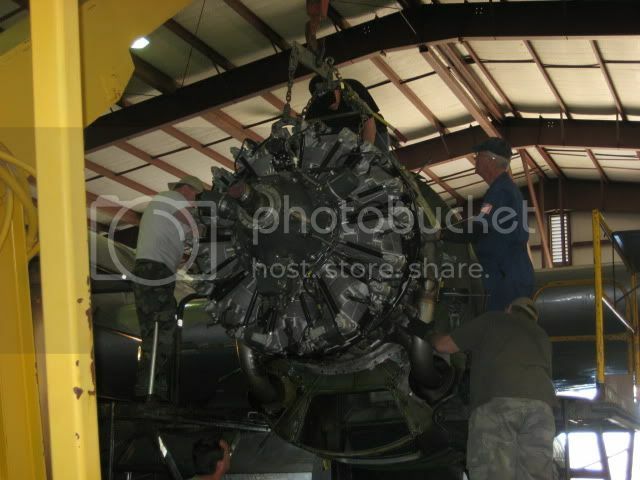 The CAFAirpowerMuseum is located at 9600 Wright Drive near MidlandInternationalAirport. Admission to the museum is $10 for adults age 18-64, $9 for teenagers age 13-17 and seniors age 65 and older, $7 for children age 6-12 and children age 5 and under receive free admission. The B-29 was originally fitted with the Wright R-3350-57AM engine, which had a less-than-desirable reputation since its inception. True to this reputation, FIFI has experienced numerous problems with her engines in the 30-plus years she has been flying with the CAF. Following the discovery of metal shavings in the engine oil, the B-29/B-24 Squadron held a lengthy series of meetings with CAF personnel and experts in the field of aircraft restoration and the decision was made to not fly the plane again until it could be fitted with engines that are a custom built combination of the R-3350-95W and R-3350-26WD engines. The refit required reworking the engine mounts and some of the engine cowling, making it a lengthy undertaking. When the Commemorative Air Force (then Confederate Air Force) began searching for a B-29 for its collection of historical military aircraft, World War II had been over for 21 years. The Superfortresses that helped end it had long since yielded to new generations of jet-powered strategic bombers and vanished. According to the United States Air Force, no B-29s remained in inventory, even at storage or disposal depots. But the CAF colonels had faith and it paid off. In 1971, a pilot reported sighting a number of what might have been B-29s in the California desert near ChinaLake. The CAF learned the aircraft were indeed Superfortresses that had been parked at a Navy weapons center for 17 years. They had been used for gunnery targets and abused by heat, sand and vandals. 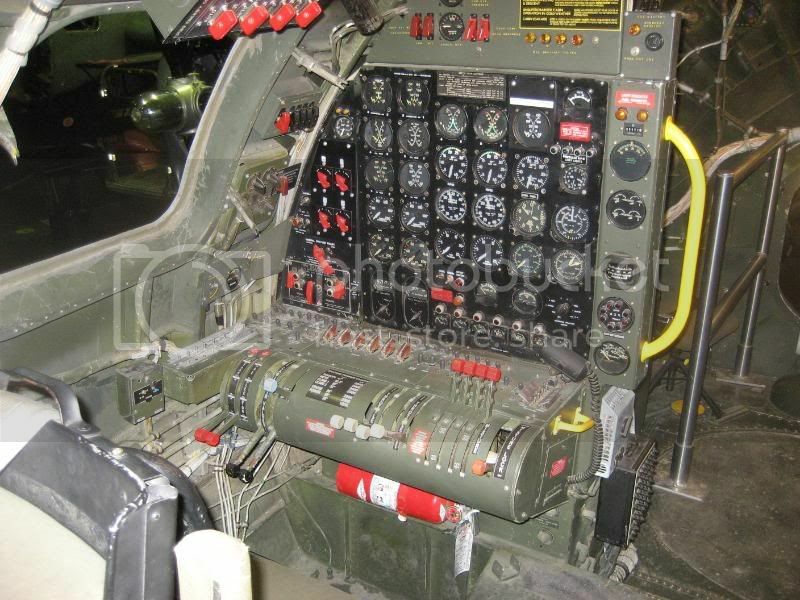 After much negotiation, paperwork and a painstaking process of elimination to find the best survivor, the CAF added B-29 SN44-62070 to its fleet. That was just the beginning of the task. 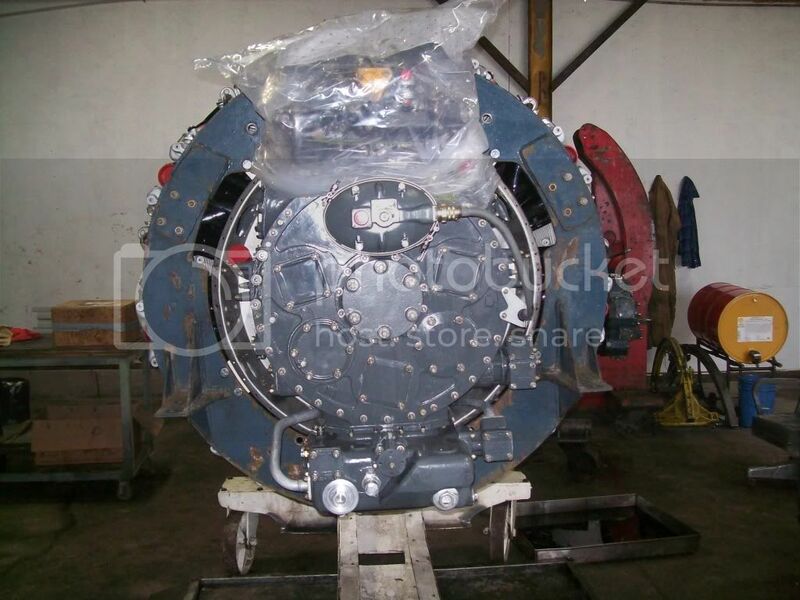 The complete restoration to CAF standards of airworthiness was a long and expensive project involving more than three years of fund-raising and hard work. Late in 1974, the CAF's B-29 was christened FIFI and joined the other World War II fighters and bombers to preserve the memories and teach lessons of mankind's greatest war. www.commemorativeairforce.org or call (432) 563-1000. *Schedule subject to change without notice due to inclement weather or mechanical requirements. 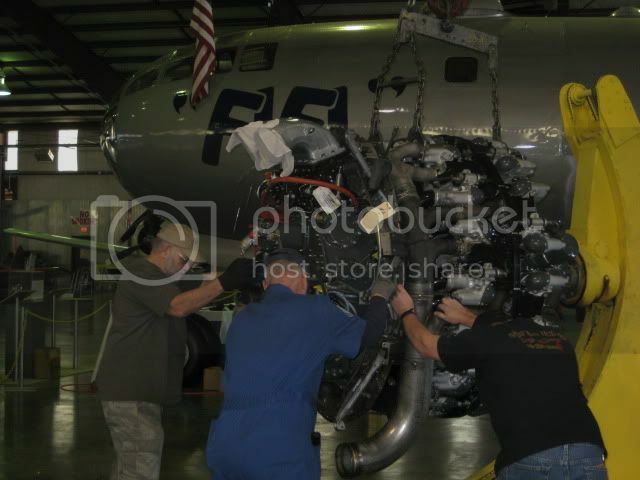 All test flights scheduled for the Commemorative Air Force�s B-29 Superfortress FIFI, on June 29 and 30, have been postponed until further notice. 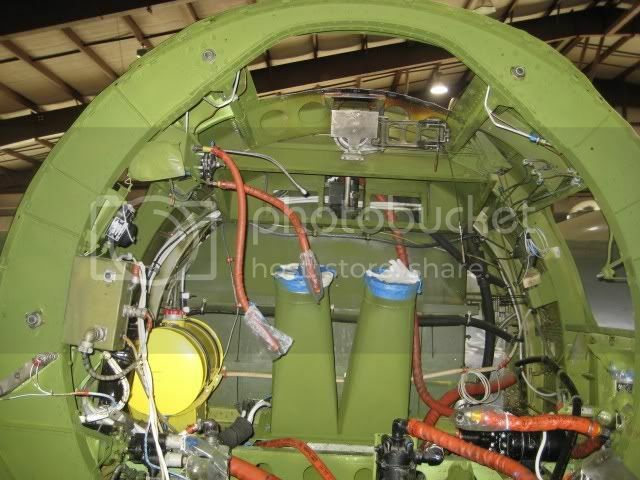 Due to a scheduling conflict, the Federal Aviation Administration (FAA) will not be able to issue a new Airworthiness Certificate for the B-29 Superfortress FIFI until next week at the earliest. The certificate is required for FIFI to begin test flights. Please stand-by for more information as it becomes available regarding the re-scheduling of the first test flights. The CAF is very sorry for any inconvenience this may have caused. Let us know when it's all systems go, be great to know it's back in the air. The FAA has shut us down from flying the B-29 until at least July 26th. due to their work load. The issue is about how many people will be able to fly on the B-29 during the test flights. We need six people for safety while they say four. We can not safely fly with four. The airplane is ready to go. Stand by for further updates.